Used to locate and chase game into the open hunters would then have their Borzois (sighthounds) take further chase. 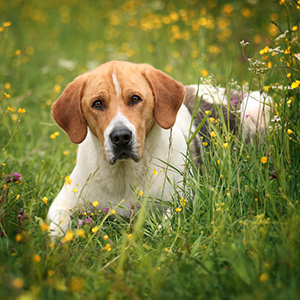 Although bred for hunting, likes human companionship and usually gets along well with other dogs. 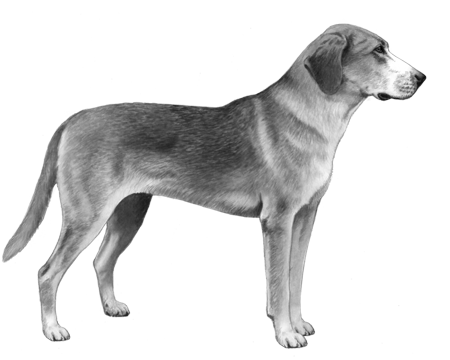 The Russian Hound is indigenous to its namesake and has been in existence since the late 18th century. They were used to locate and chase game into the open where hunters would then have their Borzois (sighthounds) take further chase. 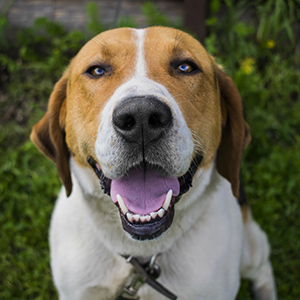 Selective breeding in the early 20th century led to the standardization of the breed in 1925. 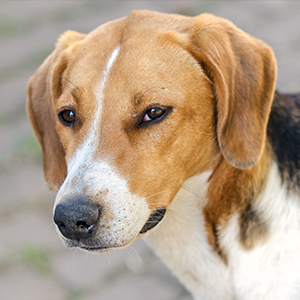 Slightly wolfish in appearance with a sweet face reminiscent of the much smaller Beagle this breed has a large build with a moderately short, dense overcoat and thick, soft undercoat. They are usually yellowish in colour with overtones of red and black. They have a strong and broad head shape with small ears that hang, triangular in shape, against the head, drop-ear style. Indeed these dogs are trained to hunt, but when surrounded by people they can be quite calm and balanced. While they are not prone to aggression or bursts of possessiveness, they are faithful and will always prefer to be close to their owner. They are companion dogs at heart, but being bred for tracking and hunting they need good physical activity and plenty of it.